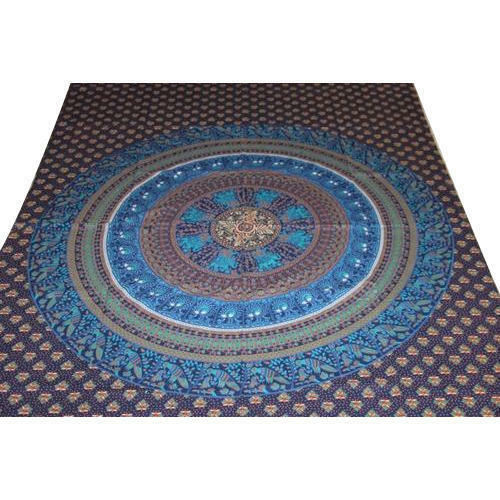 With our expertise and trustworthiness, we are engaged in manufacturing an optimum quality range of Hippie Wall Hanging Tapestry. Incorporated in the year 2001 at Jaipur (Rajasthan, India), we "Ganpati Handicrafts" are a Sole Proprietorship firm engaged in manufacturing a wide range of Ladies Jaipuri Frocks, Decorative Tapestry, Ladies Skirts, Ladies Palazzo, etc. These products are widely appreciated for their attractive color, shrink resistance and color-fastness. Under the leadership of “Mr. Neeraj Khatri” (Co-owner), we have been continuously progressing in this domain.